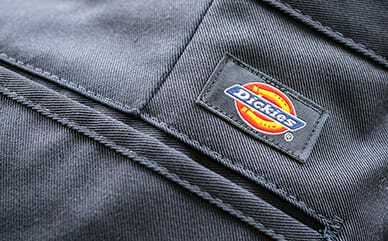 Whether you’re hanging out or jogging, Dickies’ Side Stripe Logo Elastic Jogger will keep you at your best. The fitted design and rib cuff bands make it an ideal option for colder days, as it is designed to keep out the weather. The elastic waistband with drawstring make it the perfect fit. A stripe down each leg gives it the racing stripe feel you want.